Assorted detail pertaining to Claresholm airport - July 1999. Aerial photo of RCAF Station Claresholm - 1958. Larger image of the aerial photo of RCAF Station Claresholm - 1958. Note - this is a large file 528K, but well worth the time to view a close up of the entire runway layout. 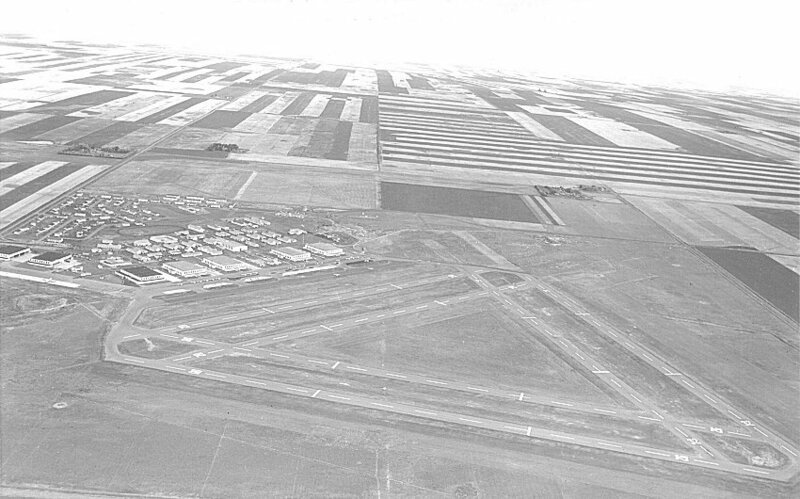 Aerial photo of the domestic site and the hangar line - 1958.